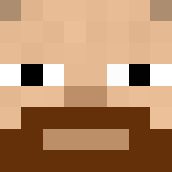 Wearing armor slows crafting … and chest access, and enchanting, and hopper/dropper/dispenser access, villager trading, etc. Basically, wearing armor makes it harder to do things. The exceptions are accessing your own inventory and accessing inventory when on a horse. 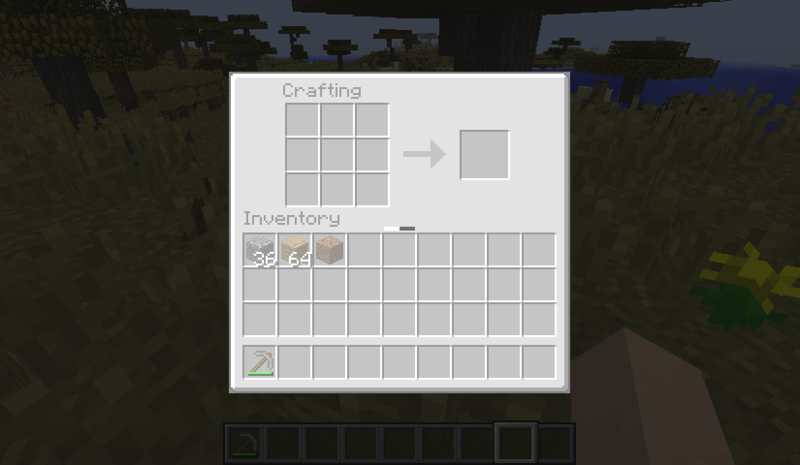 The way this works is that if you try to use a crafting table, open a chest, look inside a hopper, dropper, or dispenser, or well, you get the picture, then there will be a delay and a wait indicator. The delay doesn’t exist if you’re wearing no armor. And it’s shorter with leather and gold armor than with iron and chain armor. Diamond armor has the longest delay, and it can be quite annoying. As, I imagine, trying to build stairs out of wood while wearing a full suit of diamonds would be quite annoying. That’s the challenge, in a nutshell. By itself, however, this would just be annoying/dangerous. So there’s also a change to armor stands to make it easier to deal with this challenge. You can now shift-right click on an armor stand to swap the armor you’re wearing (including your off hand tool/shield) with the armor stand. That means that you can quickly remove your armor by shift-right clicking an empty armor stand, and quickly armor back up by doing the same thing a second time. As an added bonus, you can now place elytra on armor stands. So, why handicap armor in this way? Well, mods galore have tried to handicap armor in interesting ways: slowing your walking or sprinting speed, accelerating hunger, making swimming more difficult. I’m not opposed to adding those if I can find the right mix of realism, gameplay, vanilla feel, and difficulty. But I wanted to start with something unique. And encouraging more use of armor stands while also making them easier to use is a great bonus. Besides that, this challenge encourages other changes to your gameplay. First of all, when you are wearing armor and need to do some crafting, you’ll be more likely to find a protected place to do it. You’ve got a bigger reason to build a home. Or block yourself in when caving or mining. Plus, there’s an added reason to use leather and gold armor, because they barely slow down your crafting at all. And chain armor slows it down less than iron, so that’s also useful. Finally, because you’ll want armor stands to swap out your gear, it will be useful to have them wherever you expect to do a sustained amount of crafting, redstone work, enchanting, or potion making. Something to consider as you layout out your base.